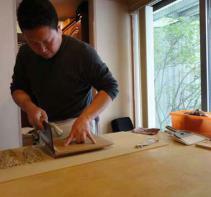 HOME » udon » Beautiful noodles of Japan, "Udon"
Beautiful noodles of Japan, "Udon"
There are the noodles "Udon" in Japan. 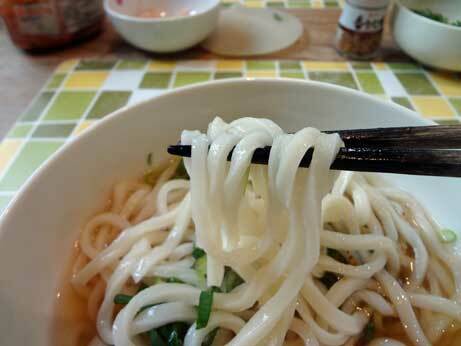 The noodles are pure white or light yellow and It has skillful gloss, when boiled. Generally, a noodle does not have a taste in itself and eats in many cases, pouring deep sauce. Of course, it is delicious even if "Udon" adopts such how to eat, but "Udon" itself is delicious. Therefore, it adds a little raw soy sauce, or is put into light taste soup and eaten. Especially this way of eating has many cases of "Sanuki Udon." It is the typical food in Kagawa Prefecture in Japan. People of Kagawa like it so as to eat it every day. 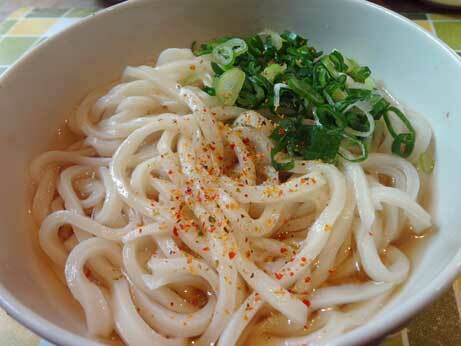 Under the influence of TV, the people who ate "Sanuki Udon" willingly increased nationwide recently. My and my family loves "Sanuki Udon" and I often make it with oneself and eat it. The photograph is ”Sanuki Udon" which I made from a beginning in this morning.